For everyday cycling, the south of Hayling is completely cut off from the north of Hayling Island and the bridge. People in the south need to cycle north to the Yew Tree or Maypole, or further to Northney or Havant. How can we expect our kids to cycle to Havant College? People in the north or off the island need to cycle south to schools, shops, the community centre, the beach, and all the other wonderful amenities on the island. The main A3023 Havant Road between Yew Tree Road and Kings Road is too narrow, too busy, and intimidating for all but the most hardened cyclists. So very few bike riders attempt it and even fewer cycle-commute off the Island. Any cyclists daring it causes traffic tailbacks and frustration for motorists. 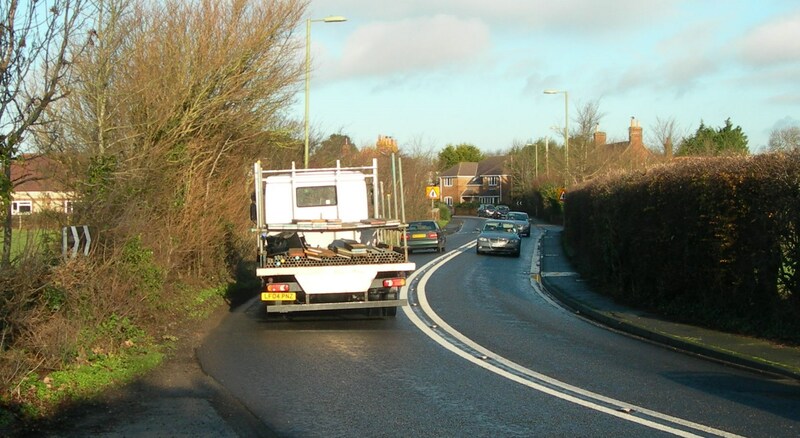 If they use pavements illegally, they risk colliding with pedestrians and hedges growing out over narrow pavements. That’s why Cycle Hayling is calling for Haylink: a North-South cycle link, separating cyclists from motorists and acting as a vital stepping stone for developing cycling routes around the rest of the Island. It won’t be easy. There’s no simple option, so we applied for council funding in 2018 for a professional feasibility study. Although this didn’t make the cut, the council have incorporated the need into the new Cycling and Walking Infrastructure Plan, being developed during 2019. Watch this space! If you want to support our efforts, please register your support; registration is free and we will keep you up-to-date with progress.